The Putnam Rail Trail project in Yonkers, New York, is a rail-to-trail project being led by Groundwork Hudson Valley (GWHV). Planning for this project was funded through a competitive EPA Brownfields Area-Wide Planning grant, as well as grants from the Westchester Community Foundation and the Mid-Hudson Regional Economic Development Council. Groundwork Hudson Valley recently received funding to begin construction of the first segment of the two-mile Rail Trail, which will also feature a new park and play area. 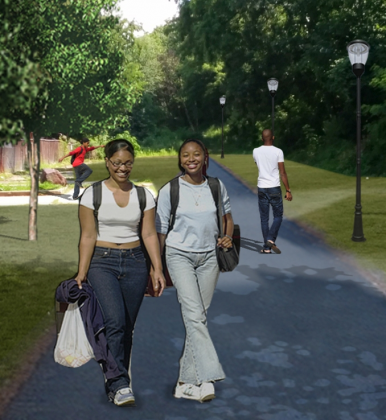 Once complete, the paved, lighted pedestrian and bike trail will connect all the way from the downtown Yonkers waterfront area to Van Cortlandt Park in the Bronx. This will significantly improve north/south connectivity for Yonkers residents, providing safe and easy access to the subway into New York City. It will also help to reinvigorate the neighborhoods adjacent to the abandoned railroad line, which declined after the trains stopped running in the 1940s, and could bolster the city’s tax base with new businesses and housing. Groundwork Hudson Valley made sure that local Yonkers residents were involved in the Rail Trail project from the beginning. 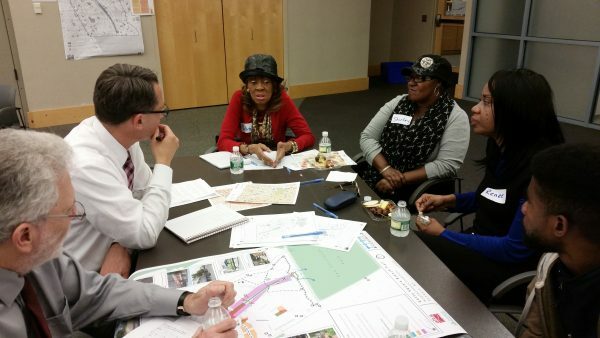 As the city of Yonkers’ partner on the project, GWHV convened a steering committee comprising neighborhood churches, nonprofits, Yonkers’ Municipal Housing Agency, and other city agencies and stakeholders, to ensure that the project reflects the vision of residents living in the communities along the abandoned rail line. EPA and Groundwork Hudson Valley community planning session in Yonkers’ Lowerre neighborhood. To facilitate local community participation in the project’s planning and visioning process, GWHV turned to its Green Team — high-school age youth that work on a range of Groundwork projects, including community gardening, urban waters revitalization, and access to open space. The Green Team, made up of youth from diverse backgrounds, reached out directly to local community residents to spread the word about the planning process. Engaging local youth in brownfields planning processes like this has significant positive impacts. They were able to communicate to their neighbors and other community members who do not speak English as their first language. Local youth also brought unique insights and experiences to share with residents living along the proposed rail trail. During the planning process, Green Team members were empowered to lead visioning sessions during community events. This skill-building opportunity has lasting impacts on how the youth see their community and encourages them to actively participate in planning processes in their own neighborhoods. One Green Team member who was directly involved in the rail trail planning process, Samantha Robinson, attended the 2016 Smart Growth Conference in Portland, Oregon, with Groundwork USA. 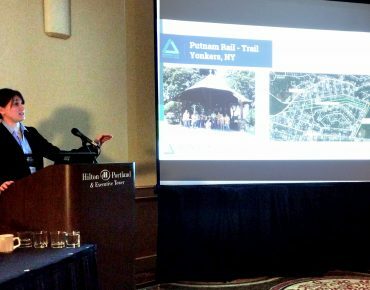 During a session on brownfields area-wide planning, Samantha gave a presentation on the Putnam Valley Rail Trail project. Samantha had been directly involved in the rail trail planning process, meeting with residents in their homes and during community events in order to gather input. She saw first-hand how that input was incorporated into the the development of design alternatives for the rail trail. She also witnessed a significant change in youth perspectives over the course of project planning. Before becoming involved with visioning and planning efforts for the rail trail project, many Green Team youth could not have imagined the abandoned railway line becoming something beautiful again. For so long it has been a place that the youth avoid because it is dark, dirty, and isolated. Now they see a different future for this space and for the community, a future that they have helped to shape.